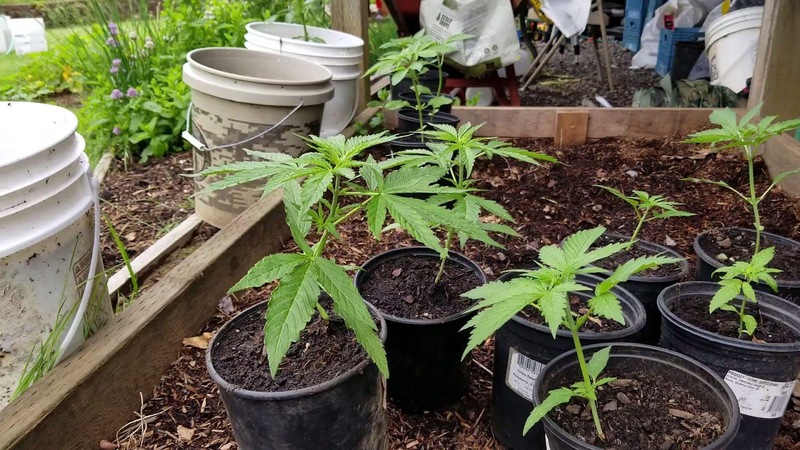 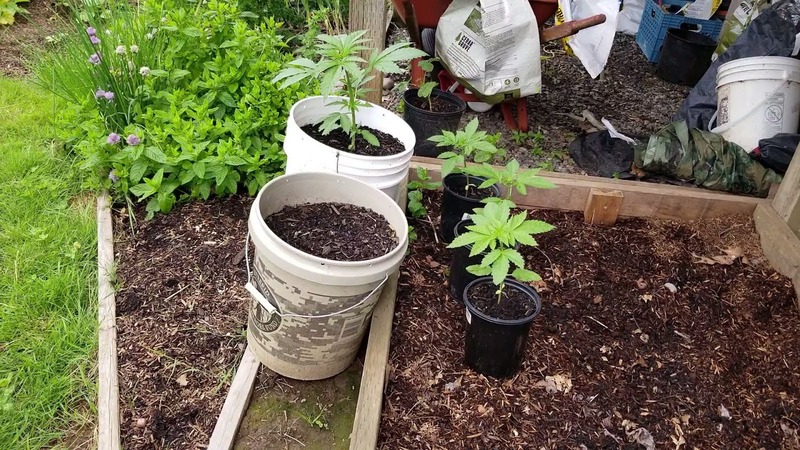 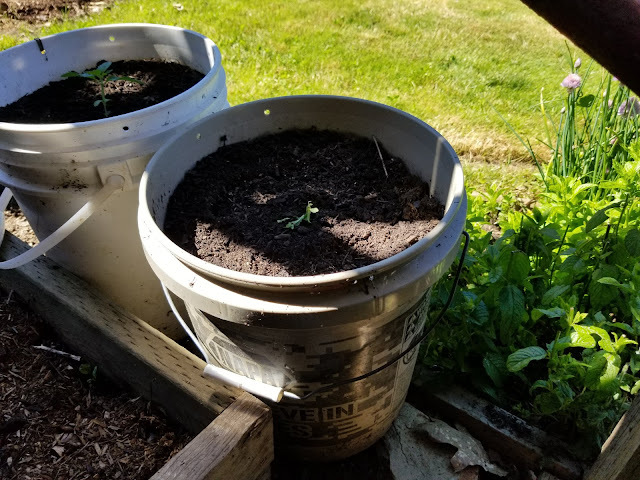 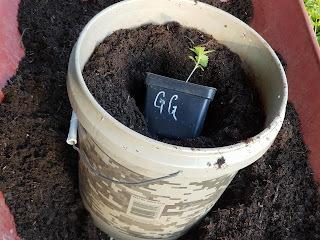 Blue Silvertip in a bucket, Three Oregon Diesel in small pots. The Gorilla Glue was eaten by a slug. 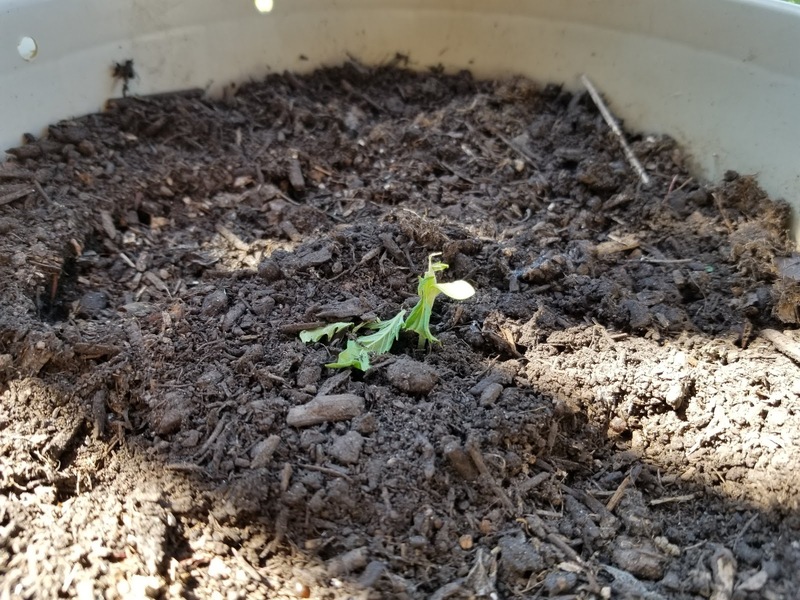 So sad. 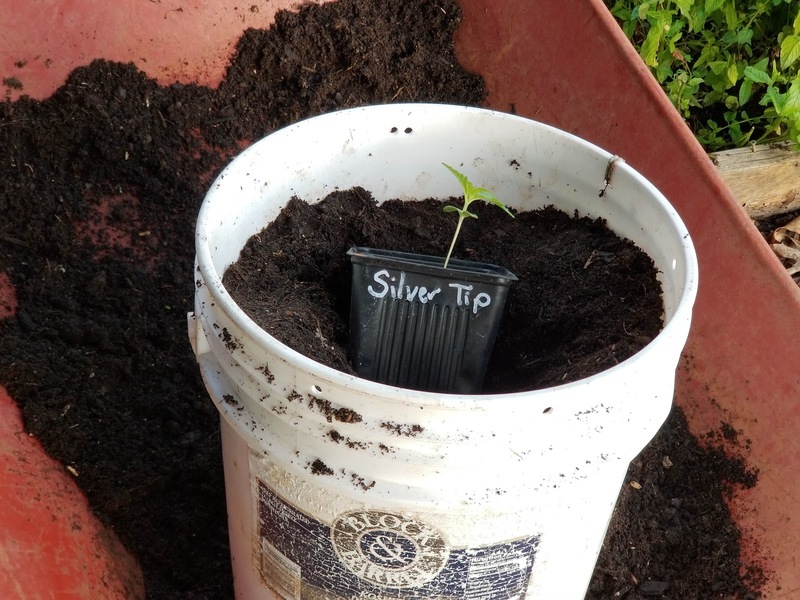 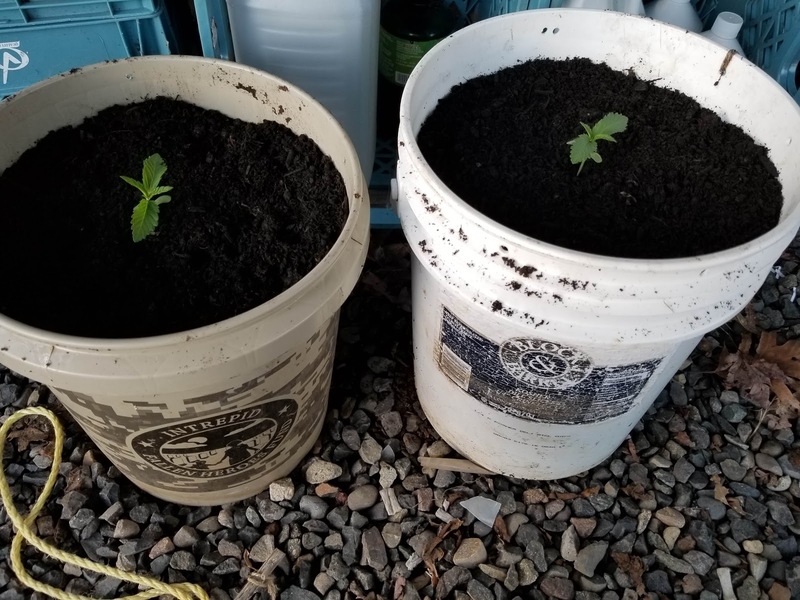 Blue Silvertip will be grown in a 5-gallon bucket due to skunky smell.